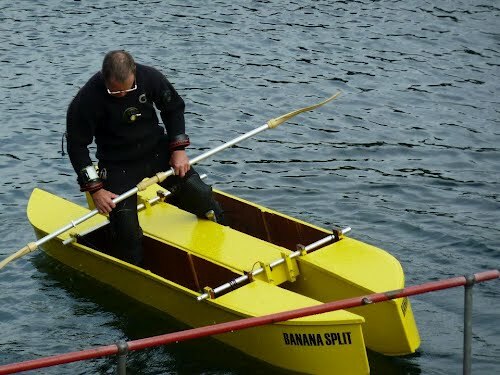 It’s the first DIY design allowing to take the boat apart. 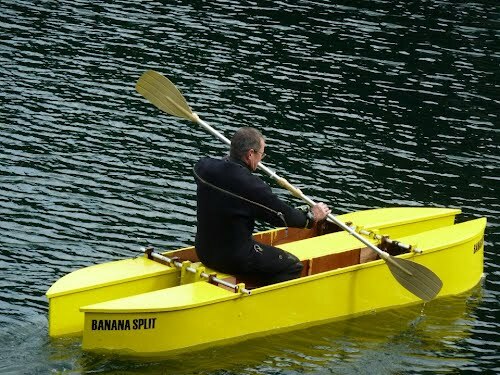 -“I have been busy building my W kayak. I tested it today and did a dive off it with great success. I decided to use the aluminum connecting poles and make the craft in three parts. This has the benefits of easier construction, easier transport and easier storage. As I anticipated, it is very stable and should make an ideal sea diving platform. 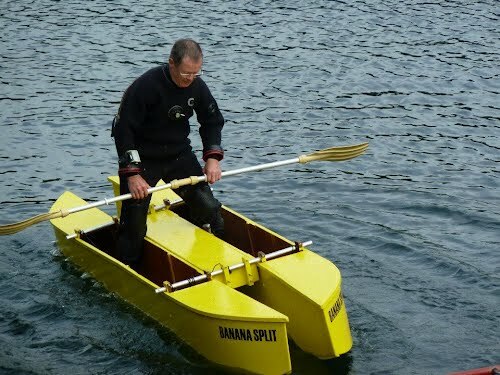 The seat section provides inherent buoyancy if it should capsize. However, I tried very hard to capsize it today and it never looked like getting close to it. I am so pleased with it and very glad I saw John Forney’s Design. I would be grateful if you could thank him for his help and advice.